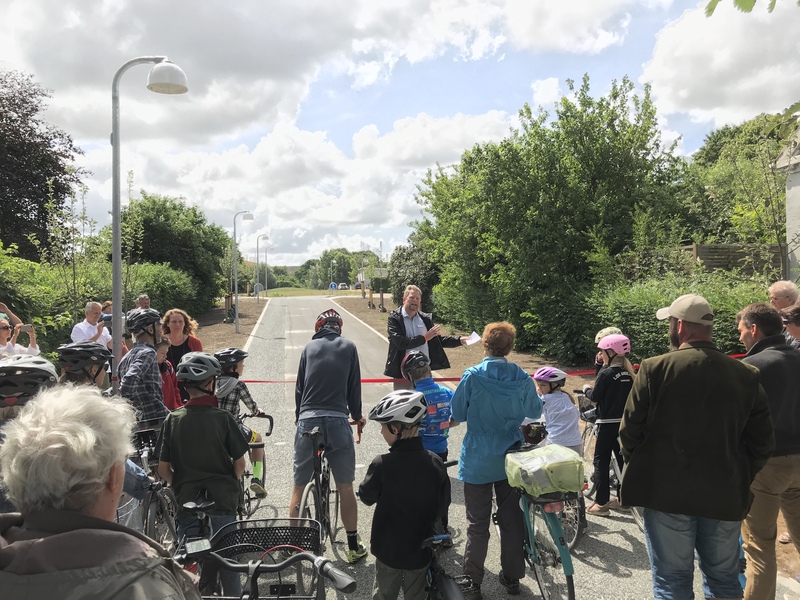 The new and interactive bicycle path in the City of Roskilde has now been officially opened to the public, with the aim to attract more visitors to the creative quarter Musicon. Local residents lined up with their bicyles and scooters to be the first passeed the red ribbon, cut by Tomas Breddam, Chairman of the Planning & Technology committee, towards the new pumptrack – which soon will feature interactive lighting in the evenings. Tomas Breddam, Chairman of the Planning & Technology committe, City of Roskilde, inaugurates the new Musicon path. The interactive path project is intended to support and stimulate urban planning in the newly developed area of Musicon, both in terms of housing and activities like sports and play, and by hosting both shorter term events as well as long term installations. So though the path quite simply connects the area with the main train station, it does so much more. It has become a water-themed, artistic and innovative feature of gateways and movements, creating positive identity to stimulate health, living and growth in the community. The one kilometer bicycle path has been designed to attract and activate visitors to the Musicon village. 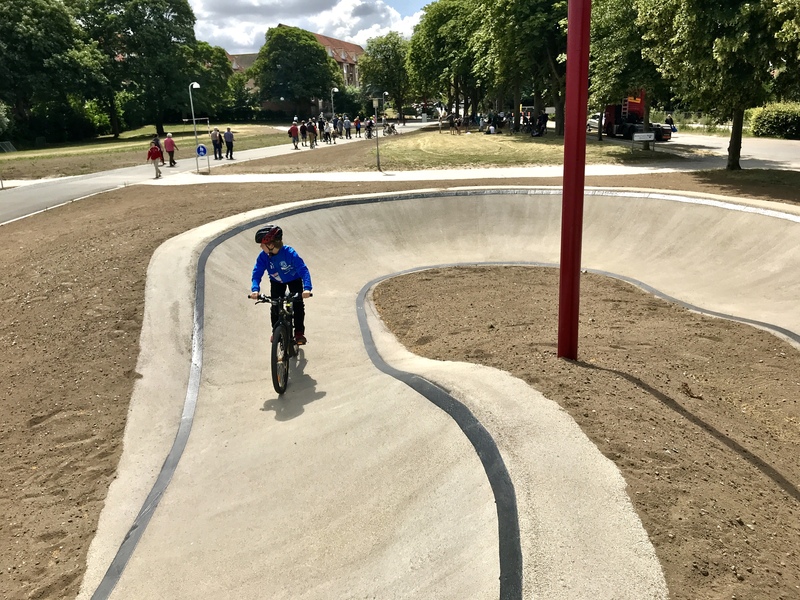 The pumptrack has interactive lighting design, simulating waves, in colours, in the evenings. 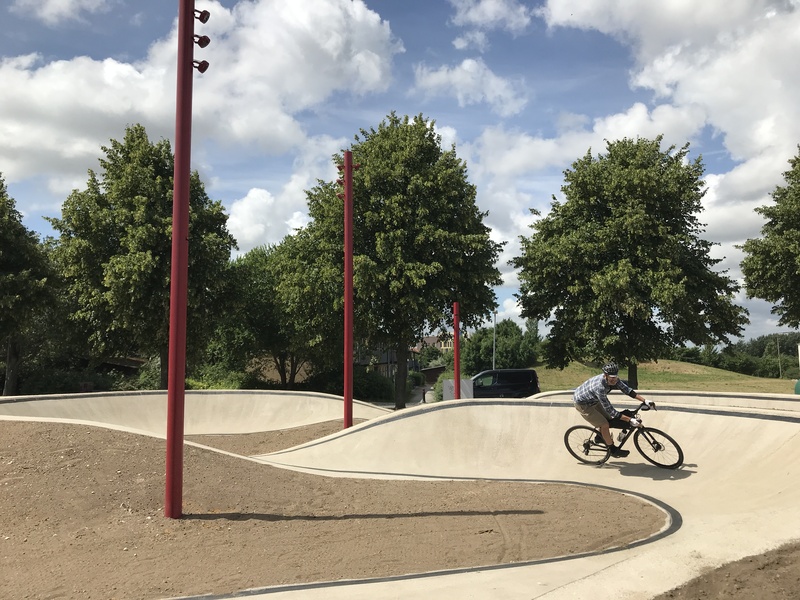 Although the pumptrack is designed for BMX bicycles, users can also ride on their normal bicycles or scooters. 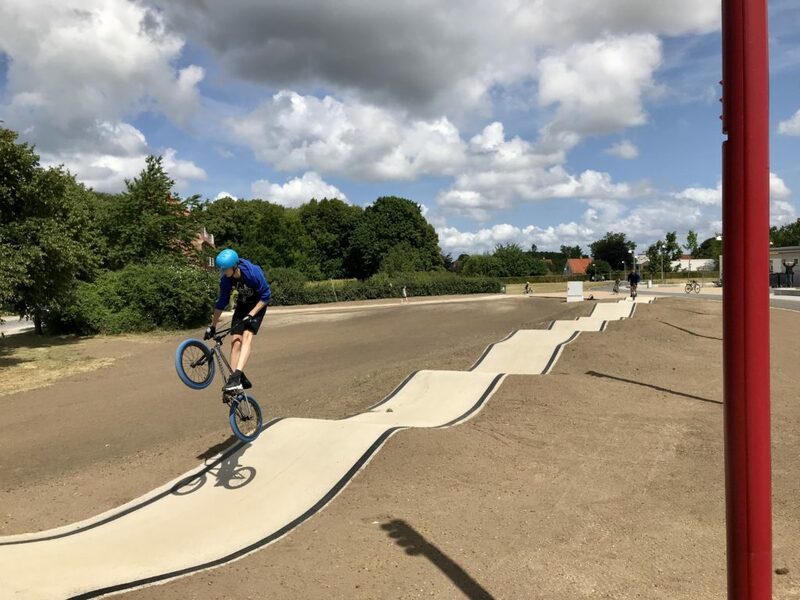 The pumptrack was built by the Danish company Dirt builders. You can read & see more about the inauguration on Roskilde’s online portal.